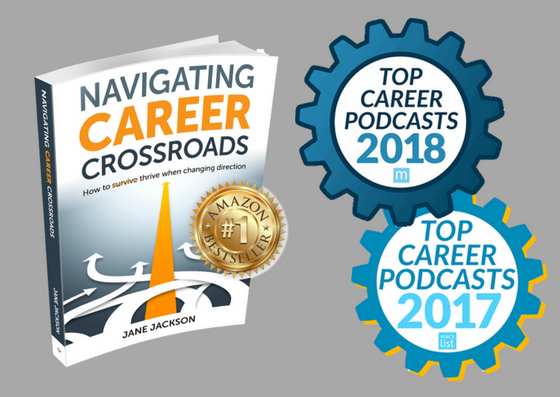 Jane is a leading Career Management Coach, Author of #1 Amazon bestseller, Navigating Career Crossroads, Keynote Speaker and Host of ‘Your Career’ Podcast. Telstra Business Women’s Award Nominee 2014 and 2016. With experience in industries including travel, health & fitness, public relations, education and human resources in Hong Kong, San Francisco, London, Singapore and Sydney, Jane draws upon over 30 years of experience to help professionals to find that spark of joy in their careers – so they can follow their true passion and direction. 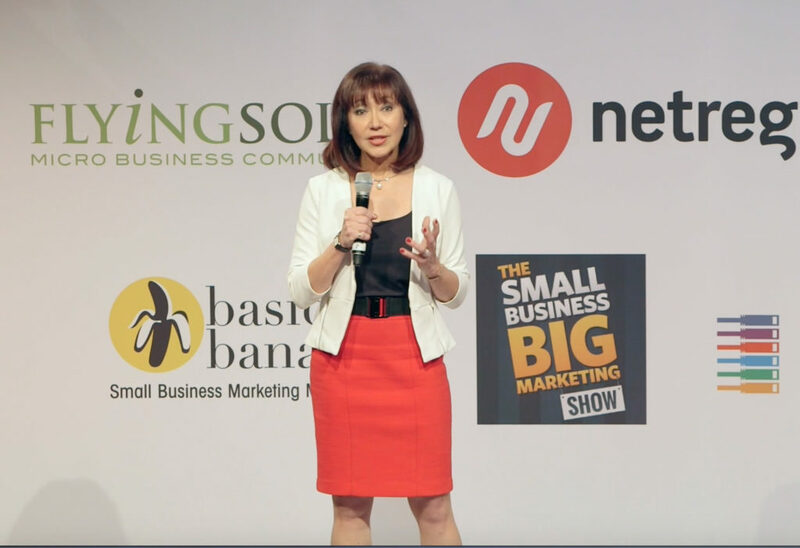 Over the past 18 years, through her private coaching practice and as an Executive Consultant with a world leading Global Outplacement Provider, Jane has successfully guided and coached over 3,000 clients to take control of their careers and build their personal brand to attract career opportunities – in person – and online leveraging the professional networking platform, LinkedIn. Whether working one-on-one with individual clients, or conducting presentations to large corporate groups, as a qualified career and branding coach, and corporate trainer, what Jane enjoys most is to be the catalyst to provide that spark of inspiration that will lead you to greater satisfaction and happiness in your career. Most of us experience some ‘tough stuff’ in our lives and I have too. I was a painfully shy child. 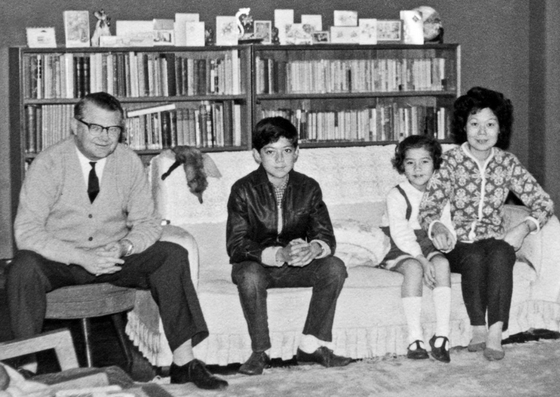 When my British father, a Cambridge scholar, died when I was 11 he left my Hong Kong Chinese mother who was unable to finish high school due to her ill health as a child, and who spoke only Cantonese, to bring up my brother and me. 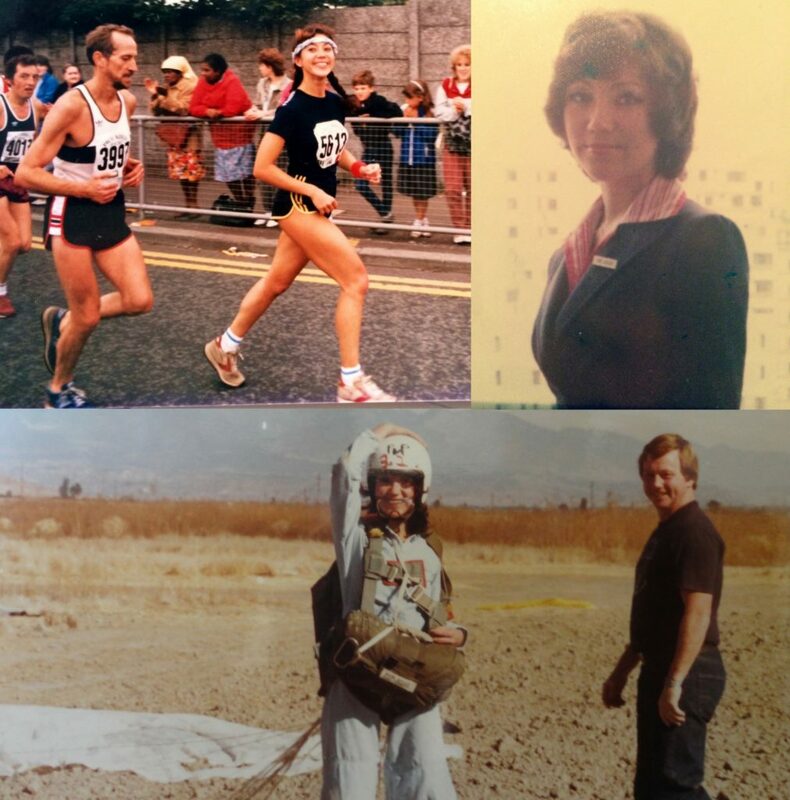 We didn’t have a lot of money but Mum was a pillar of strength. Although I went to a British School, I had little career guidance in my teens and early twenties and I made choices that would have been very different had I had known better. Luckily I am a determined student, who worked very hard and as a result did well, and after graduating from University in Minnesota, my career took a fascinatingly eclectic path for 20 years. It’s been an interesting journey! I married, had 2 beautiful daughters, moved country 4 times, went through a divorce, moved country again and as a consequence had to retrain, up-skill and reinvent my career a number of times. Hence, the eclectic career path that prepared me very well for my current role as a business owner, career management coach and transition specialist. I worked in Public Relations as a PR Officer in Hong Kong and London – agency side (in HKG) and client side (with United Biscuits plc in the UK). When I was given my own column in the United Biscuits company newspaper I honed my writing skills, initially writing fluffy articles about Jaffa Cakes and lipstick and then, feeling bored, ventured on to controversial subjects which generated a fair amount of lively discussion and a bit of hate mail too! I love a good debate however I was subsequently ordered to stick to fluffy subjects. Taking to the skies for a change in scenery, I provided service with a smile around the world for Korean Airlines and British Airways when flight attendants were called ‘Hosties’, and the book, ‘Coffee, Tea or Me? The Uninhibited Memoirs of Two Airlines Stewardesses‘, was a best seller. For fun I trained for, and completed the New York and Manchester marathons (I was happy with my personal best of 3hr 39mins), and jumped out of 3 planes to get over my fear of heights – it didn’t work! I qualified as a personal trainer and fitness instructor and was selected to present Aqua Aerobics training to instructors at Australian Fitness Network convention. 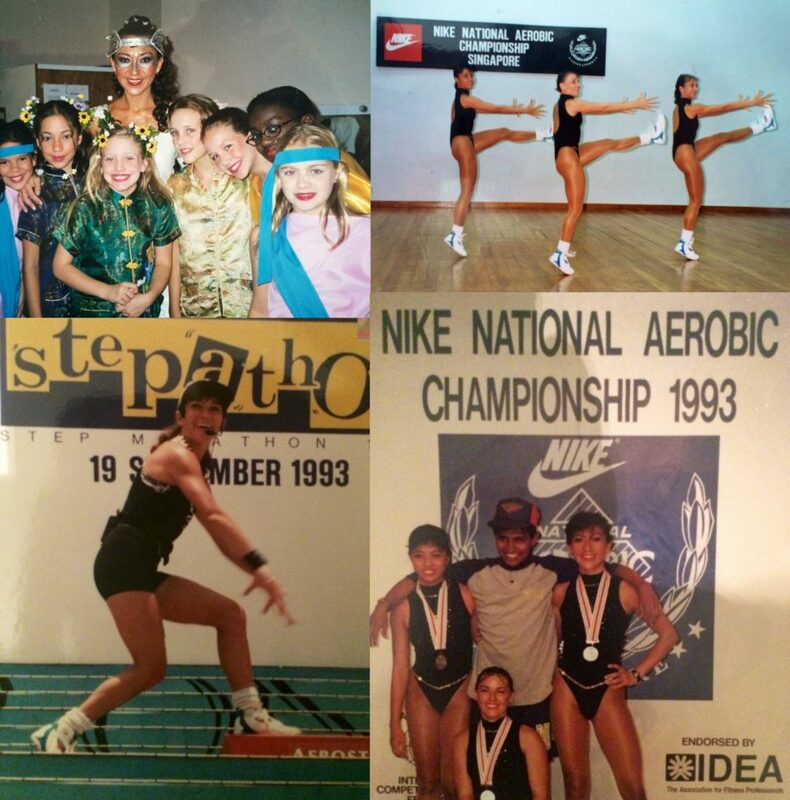 Winning the Silver Medal in the Nike Singapore National Aerobics Championship resulted in a Nike sponsorship and I became a ‘Nike Elite‘ to promote Total Body Conditioning across the island nation. I loved teaching aerobics and enjoyed my largest audience of over 2,000 at the Singapore World Trade Centre. I set up my personal fitness training business, “The Body Mechanic” and, much as I enjoyed it, I wanted to do more and re-entered the corporate world, launching my corporate training business, facilitating training workshops for companies including Credit Suisse First Boson, IBM and ABN Amro in Singapore. As I’ve a keen interest in branding and professional image, I qualified as an Image Coach and gained valuable presentation skills and what my husband calls my ‘drama queen’ skills through numerous acting roles for the Singapore Stage Club. My love of dance also saw me as a back-up dancer for Tina & The Turners, a review dance troupe entertaining crowds of between 200 – 500 at numerous corporate events in Singapore. I was invited to choreograph the dances for, and perform in, the professional musical, ‘Chameleon’ about the dying days of Bugis Street. After months of hard work we débuted at the Jubilee Hall at Raffles Singapore and received dreadful reviews despite receiving standing ovations every night. Here’s a tiny snippet of me leading my boys and girls during the finale in Chameleon. At the age of 40, after a divorce, another country move and reinvention, supporting teenage daughters, my aging mother and my cat, I had an ‘Aha!’ moment. I realised that my multiple transitions, background in public relations and corporate training combined with my entrepreneurial mindset, positive attitude, communication & presentation skills plus a large dose of empathy had prepared me well for the next phase in my career as a Career & Life Transition Coach. And I LOVE it! Leveraging my background, solid understanding across cultures and education in Hong Kong, the US and Asia Pacific, my unique perspective enables me to be a highly effective career and life coach. The challenges and transitions I’ve experienced have inspired me to help those who need to find their true passion and direction. My mission is to make careers guidance accessible and affordable to the world. Book a coaching session and get 10% off today (see special offer below). My book, #1 Amazon Australia best seller NAVIGATING CAREER CROSSROADS guides you through every step to secure your next job. Listen to YOUR CAREER podcast – available on iTunes, Spotify, Stitcher, YouTube, TuneIn Radio, and SoundCloud. I provide solid career advice and interviews with fascinating professionals who have made amazing career changes. Join The Careers Academy online where I have resources for all who want to manage their careers more effectively. Wishing you much success in YOUR CAREER and your LIFE!